ROME, Jun 20 2013 (IPS) - The key to sustainable economic growth with an eye on fragile ecosystems is integrated management, FAO experts said here on Wednesday. The holistic process – which considers the environmental impact of a particular activity on the whole ecosystem, rather than just one particular resource – is being implemented in partnership with communities and local governments in several of the organisation’s projects worldwide that aim to help millions achieve food security and overcome poverty. In Vietnam, where 3.4 million people are dependent on lagoons for their livelihood through fishing and aquaculture, Integrated Management of Lagoon Activities (IMOLA) has become one of FAO’s most successful integrated management projects, according to Árni Mathiesen, assistant director general of the FAO Fisheries and Aquaculture Department. It decreased ecological degradation of Gian Tam – Cau Hai, the largest lagoon in the country, and triggered growth across multiple sectors including fisheries, aquaculture, sustainable resources and food and nutrition security, he said. 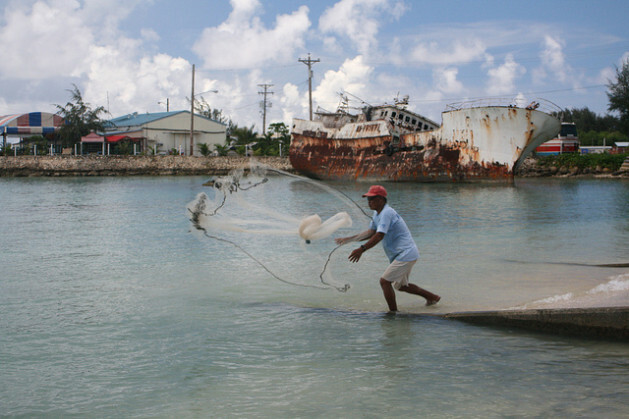 Livelihood activities over the years have created high pressure on the lagoon’s ecosystem and its natural resources. Reclamation of land for agriculture and poorly planned aquaculture development has further led to excessive fishing and the loss of nursery areas, according to Mathiesen. Launched in 2005, FAO-IMOLA was designed to deal with these challenges and improve the livelihoods of the people dependent on the lagoon system. It worked alongside the government of Vietnam, the local provincial government agencies and its fisheries department to formulate a strategy for sustainable lagoon management through the Integrated Lagoon Management plan. The strategy included understanding the ecology of the lagoon and the various ways that people living around it used the water body for their livelihoods. According to Gianni Ghisi, ambassador and permanent representative of Italy to the United Nations, it was the building of this partnership with local agencies that contributed greatly to the success of the project. “Working with different communities has been very beneficial: it helped us build a decentralised corporation. The success of this project shows that it is possible to include so many actors,” he said. With an investment of 300 million dollars, Italy was the main funder of the project. The project adopted a participatory methodology aimed at strengthening provincial institutional capacity, underlined Mathiesen. Further emphasis is put on sustainable use of hydro-biological resources and the improvement of the livelihoods of the poor in the area. While the local communities were asked to stop certain fishing practices, such as use of the electric shock method and mesh wire nets, they were also educated about the fragility of the lagoon, which triggered their active participation in its preservation and that of their livelihoods. Designed in three phases – a survey, the formulation of the management plan and the preparation of the plan – the project is now expected to be a model of integrated lagoon management plans that can later be replicated by other areas of Vietnam.